Georgetown Children’s Chorus begins its 24th season with plans for another Rock style Christmas musical (plus choral presentation) at the John Elliott Theatre on Dec. 13. The choir has over 100 members (ages 5 to 20) and was started by A. Dale Wood and Lois Fraser 24 years ago. Wood conducts the five Children’s Chorus age groups, as well as two adult choirs, the Georgetown and Achill Choral Societies. Kids, age 7 to 11, who love to sing, act and dance will enjoy being part of the rock musical and working again with Artistic Director/Choreographer Joanna Fraser, a Musical Theatre graduate, longtime Children’s Chorus member and Globe summer camp leader. Fraser will also work with the Senior choir (ages 12 and up). The choir is also working towards its 25th season, preparing a trip to France and Belgium for the 100th Anniversary of the Battle of Vimy Ridge to honour Canada’s veterans and to celebrate 25 years of singing. They will perform at eight Canadian war memorials, including Juno Beach, Dieppe, the Menin Gate and Vimy Ridge. The choir will perform in the 18th annual “Sing Out a Song of Peace” Remembrance concert on Nov. 8 and in “Rhythm and Blues” at the John Elliott Theatre in the Spring. 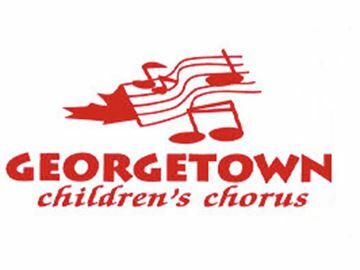 For registration details, see www.georgetownchildrenschorus.ca.